The White House has told some senior members of Congress to expect President Obama to nominate Chuck Hagel as Secretary of Defense, according to a knowledgeable source. Another source with knowledge of the nomination called it "locked down." The timing is uncertain, but other sources have told CNN it could come early next week. A Republican, Chuck Hagel represented the state of Nebraska in the US Senate from 1997 until January 3, 2009 when he retired. The White House has previously said that the president has made no final decisions. One source told CNN Thursday that the president was "mulling" over appointments in Hawaii this week. A White House source told CNN's Wolf Blitzer the president "has not offered the job to anyone." In an interview on NBC December 30, Obama allowed he had not then made a decision on who to nominate, but said in making the choice his "number one criteria will be who's going to do the best job in helping to secure America." "I've served with Chuck Hagel. I know him. He is a patriot," Obama said on "Meet the Press. "He is somebody who has done extraordinary work both in the United States Senate. Somebody who served this country with valor in Vietnam. And is somebody who's currently serving on my Intelligence Advisory Board and doing an outstanding job. " The source with knowledge of the nominations adds that White House Chief of Staff Jack Lew is likely to be nominated as Treasury Secretary, perhaps as early as next week. This source says that while Lew is expected to be confirmed, there is some consternation in the business community about Lew, who is known as a "numbers guy" but has "little or no market and business experience." The administration is believed to be searching for a person with business expertise to run the Commerce Department, but there seems to be no first-in-line name circulating at this point. Gene Sperling is expected to stay as Director of the National Economic Council. Former Washington state governor Christine Gregoire, former Ohio Gov. Ted Strickland and former Michigan Governor Jennifer Granholm are also being considered for cabinet posts. 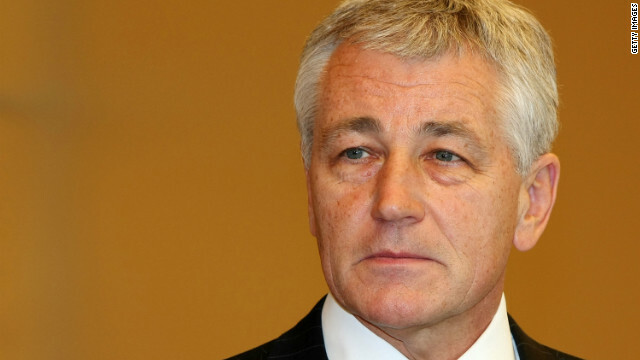 Chuck Hagel is just the right person to take the reigns at the Pentagon. A thoughtful, independent-minded Republican who is moderate in all things and has made many principalled stands as a senator. Once again, Obama is showing he welcomes Republican cooperation in solving the nation's problems and that there is nothing partisan about national security. If Bill Kristol opposes Chuck Hagel that is a sterling endorsement for Chuck Hagel to get the Secretary of Defense post . Like President Obama, Chuck Hagel is sure to be the leader who will make American people and its allies feel more exhausted than ever. A man who's allegiance is to the United States of America and not Israel? Bibi and his thugs will be p!ssed! Outstanding! This is great news! I hope Obama stands by his candidate despite opposition – in the past he has dumped them at the slightest sign of trouble. Looks like, Obama is showing his strength to his opponents and basically to the Israeli lobbies around the globe. Hope, he will succeed and place his name in the great, daring and mightiest American President. If he will bogged down, during the process, he will be considered as the timid President, Who has no guts to stand-up to the Israeli puppets in the Congress and Senate. Obama has done much more than other presidents in the past decade to stand up to Israel. Eveytime Obama has "pushed" on Israel, Israel has retaliated with more forced "settlements"! Israel even "dissed Joe Biden! It is our congress (not our president) who has no back bone in dealings with Israel! Congress is madly in love with Israel and will do whatever Israel asks!